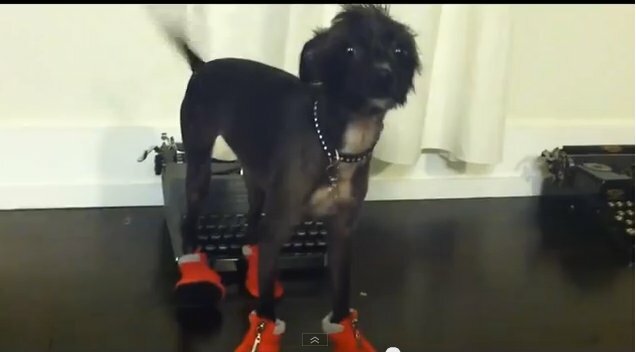 But, though we mean well, it’s not easy to get that doggie into boots for the first time, as evidenced by this video of dogs fighting their boots. It’s been online for over a year but I just saw it now when my friend Daniel posted it on Facebook. I should make your morning. It made mine.